Description: new!! 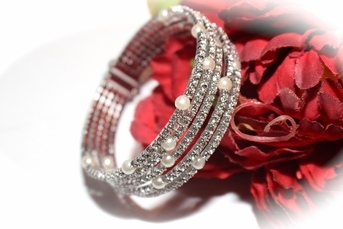 absolutely beautiful new swarovski crystal and off white pearl wedding cuff bracelet. fits beautifully perfect for all wrist sizes.